Sunday, 20 October 2013: Two Hundred and Three Days Old. We took a couple of friends out to the shack this weekend and given the stifling Build Up weather and Ayla’s rash I decided to pack the baby bath. Ayla is now big enough to sit up in the bath herself, and she’s at the age where simple toys provide hours of fun – put the two together and we have one very happy little girl. It meant I could let Ayla get as dirty as she wanted; I didn’t have to worry about giving her food to play with, or about how much sand landed on her when The Dog walk past wagging his tail. I also didn’t have to worry about her overheating or about picking her up for a cuddle if I was dirty. 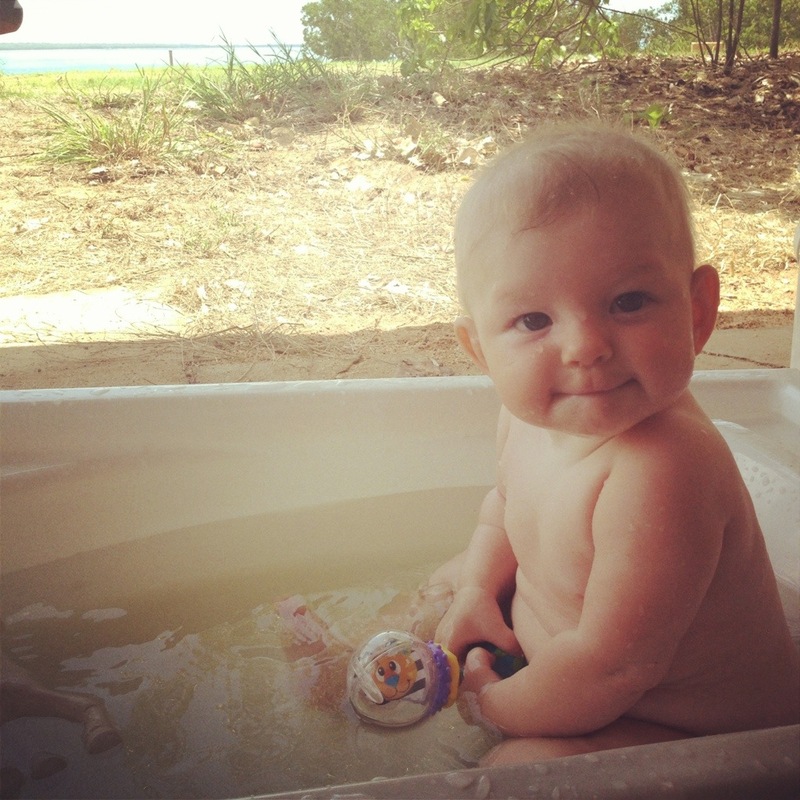 In less than twenty-four hours, Ayla was in the bath about 5 times. She sat there, quietly playing and splashing for ages and it was so wonderful to watch her.